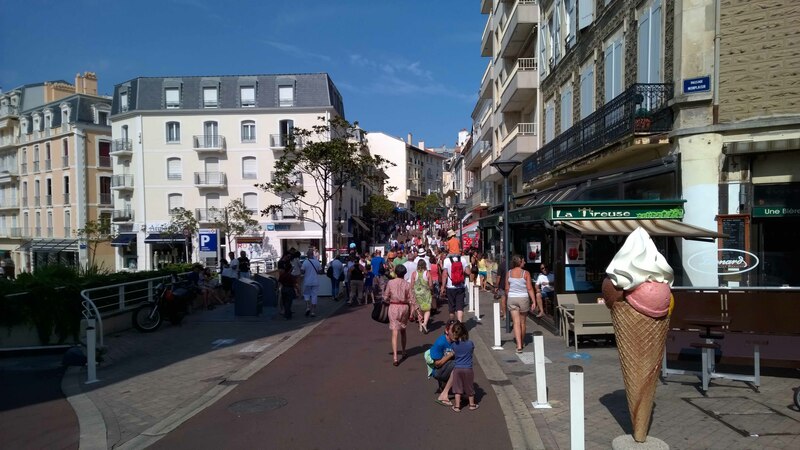 Day 12: Hossegor – Biarritz. 49km. Even I hate me right now. I’m writing this on the beach at Biarritz. Which, much to my surprise is quite reminiscent of Newquay. We saw our first sight of the Pyrenees today. That’s where we’re heading after a week of being spoiled with virtually zero altitude. 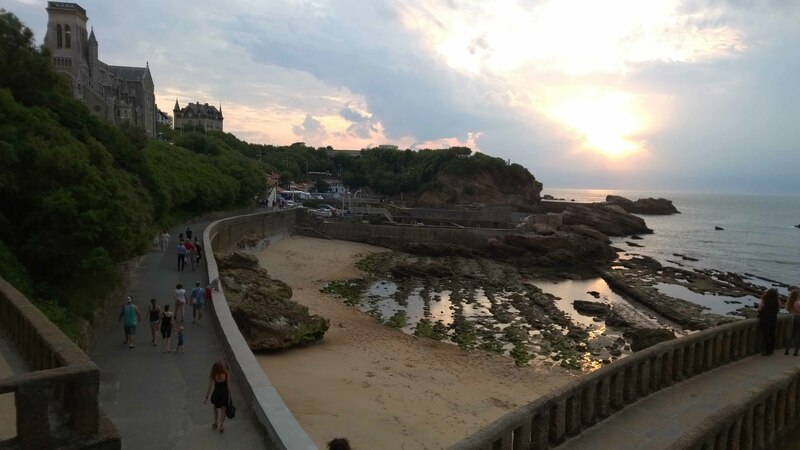 The ride into Biarritz wasn’t all great due to big, noisy roads through Bayonne, but it was a short day for us so felt good to get there not too shattered. Learned a lot on this trip about how far is enough to cycle in a day. Busy road through Bayonne but pretty flat and warm. Lovely apartment (budget blown, it was all we could find), so lovely we decided to stay an extra day and commit to eating sand for a week. It was the fridge that did it. So, Le Grand Large becomes home for two days. They even have a clothes airer so no need for the washing line strangling you in the night when you go for a wee. 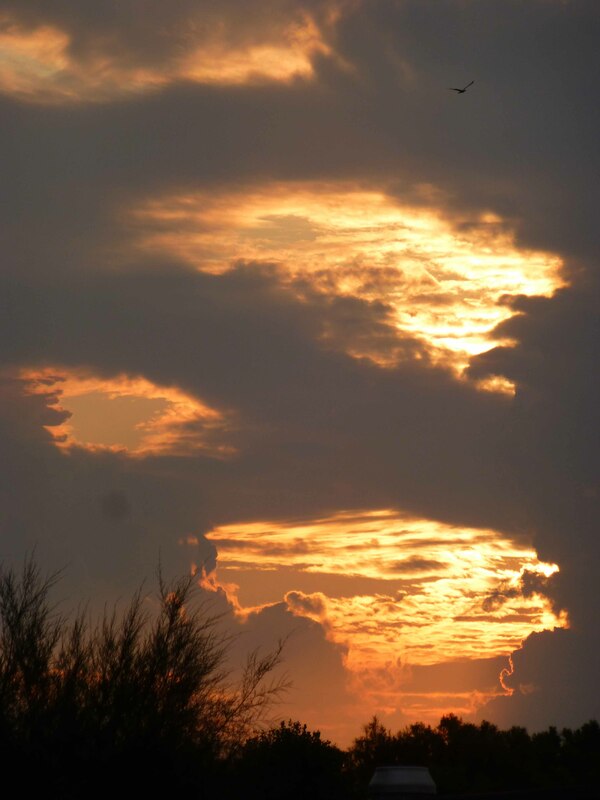 The view from our balcony. We are so happy. We would like to live here forever. Having done my customary search of estate agents (major interest and subject of expertise of mine. Just call me Jasmine), buying anything more substantial than a doormat for our nonexistent home is not going to be possible in Biarritz. As usual I have one leg covered in bike grease. No amount of swanky French seaside resort will change that. This means that I’m not finding a particularly warm welcome from hotel receptionists. Sweat, grease and an eternal bad hair day (no French woman would ever been seen in such disarray) probably explain it. Sometimes I send Keith in as they seem kinder to him. Sweat being manly and all that maybe. Keith is delighted for any opportunity to appear manly as, by his own admission, it is not an adjective that frequently features in any description of him. 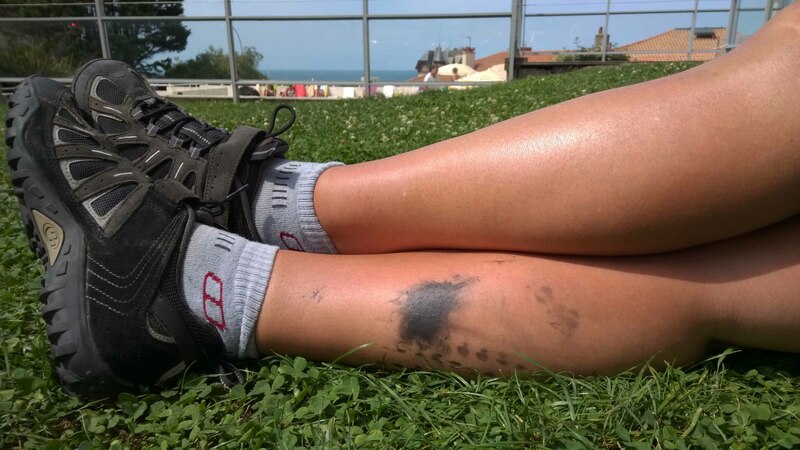 I’m considering having a tattoo if bike grease on my leg as memento, but then I would just look like I had a dirty leg forever. Spent the afternoon and evening wandering around Biarritz. 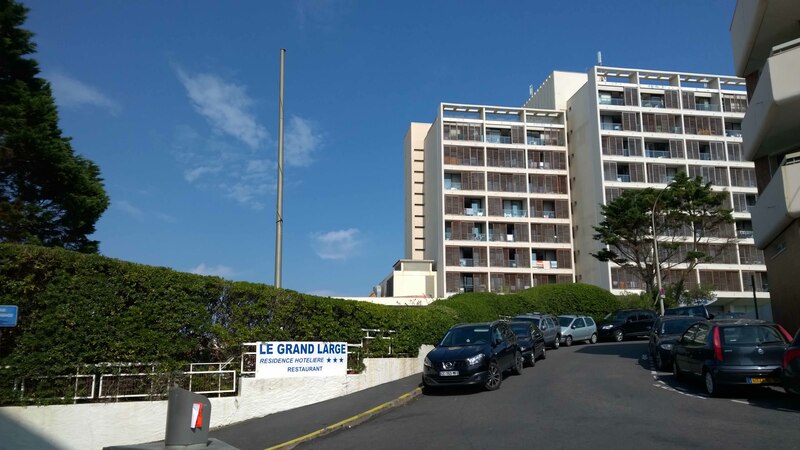 Its an odd, ramshackle little town, smaller than I expected and more messy – alleys, tiny beaches and rocks sticking out the sea rather than a pristine, glamorous promenade. It is reminiscent of Newquay, as I said, or Ilfracombe, apart from the sun, house prices and leathery elderly ladies. 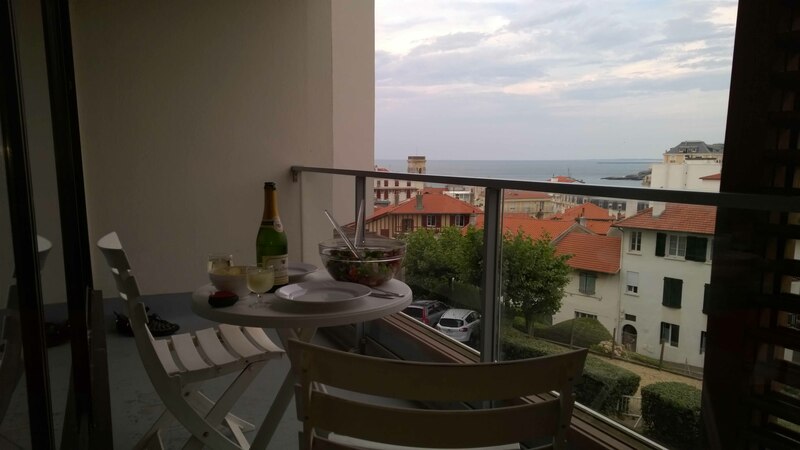 We had a luxury dinner on our balcony complete with €2 fizzy wine (its usually €1 but this is Biarritz, dahling). We mostly picnic because it’s cheaper and doesn’t involve communicating with anyone. Our mutual list of food choices is fairly limited: Keith has a whole bunch of stuff that he won’t eat through preference – fish, anything with anything which may have come into any kind of contact with vinegar – and I am affected negatively by a load of foods – namely, caffeine, sugar, sweeteners, sugar/carbs of all kinds. You will see that I often ignore my issues with sugar and stuff my face with it, which causes several subsequent hours of mental and physical discomfort. Luckily for us, not only are we both perfectly happy to eat the same foods for weeks at a time, the few mutually available foods we have are all things that we love. We spent the evening wandering round town. It’s packed. So many people everywhere. Nice to be somewhere with a bit of life after roadside motels and rural houses. Getting our bearings and starting to like this place. Its has a bit of the feel of Brighton to it. Bit quirky, lots of crazy characters but small enough to feel at home in. Our night ended watching a spectacular electrical storm over the Bay of Biscay with lightning flashes literally every few seconds. Delighted to be here. Feels like a proper holiday today. 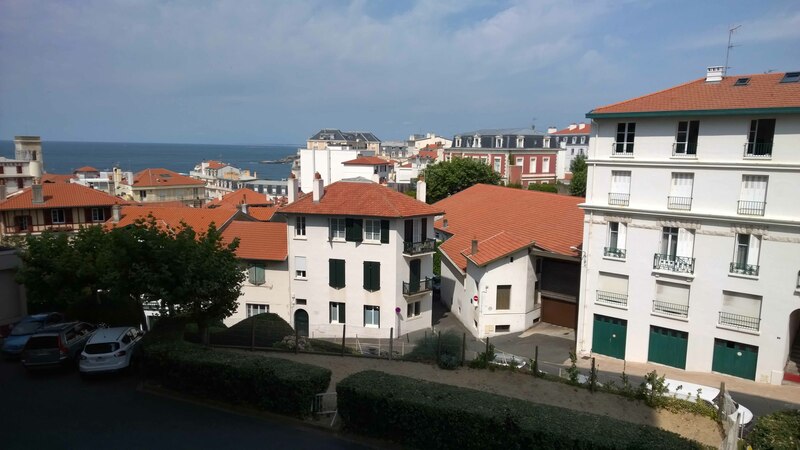 This entry was posted in Cycle Trip 2014: St Malo, France - Santander, Spain, Cycling, France, Travel and tagged Basque, Biarritz, cycle, cycle cycle touring, cycle touring, cycling, France, mid-life crisis, middle aged travellers, travel, travelling. Bookmark the permalink. 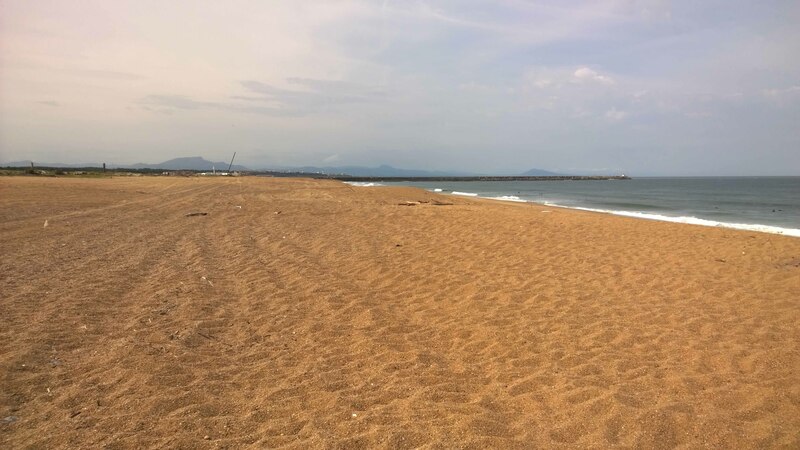 ← Day 11: Mimizan – Hossegor. 81km.